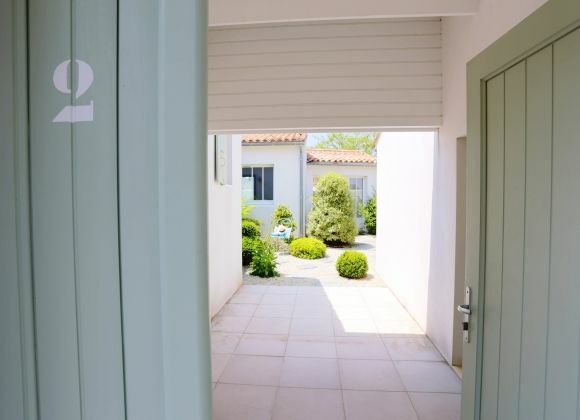 Located in a quiet area of ? 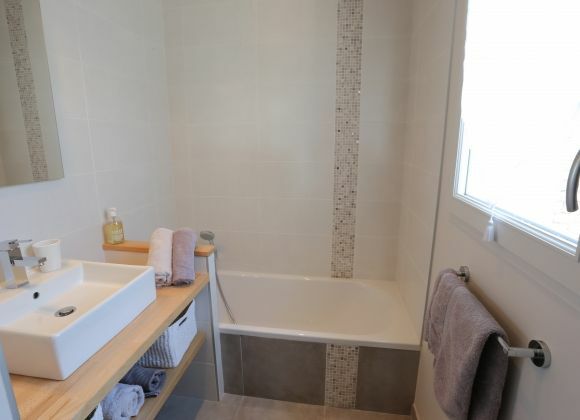 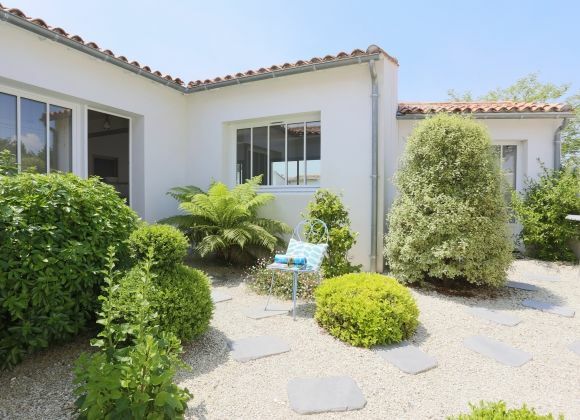 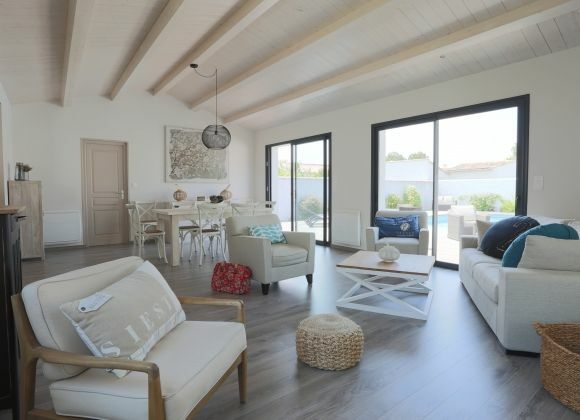 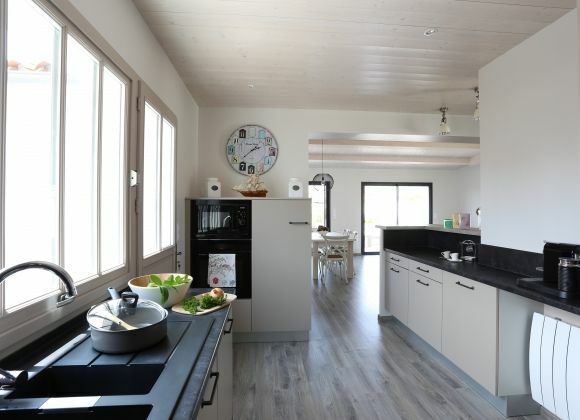 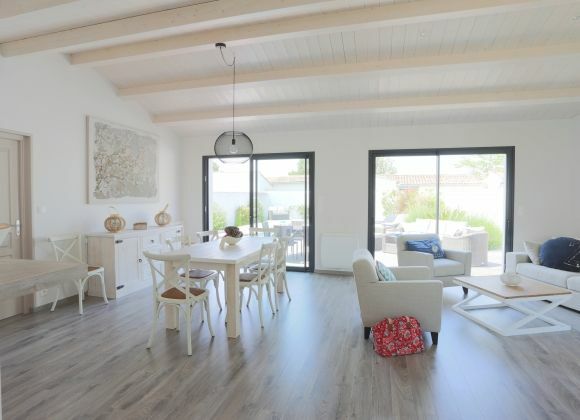 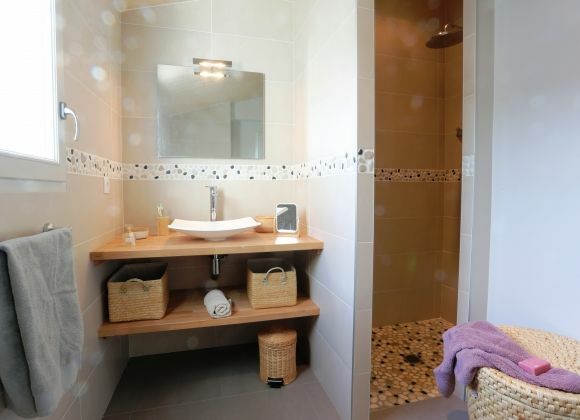 ?La Flotte, this new house has been built around a south facing garden with heated pool. 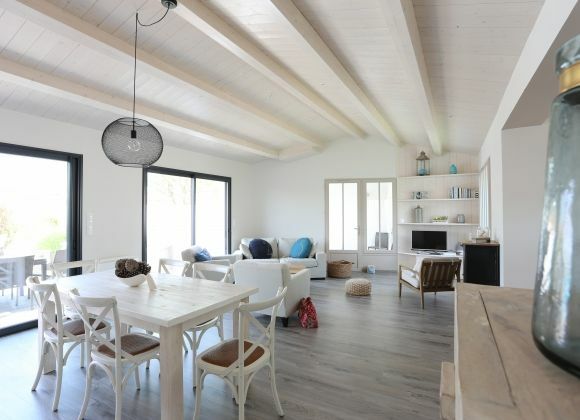 The interior is bright and streamlined and its contemporary decor confers a relaxing atmosphere. 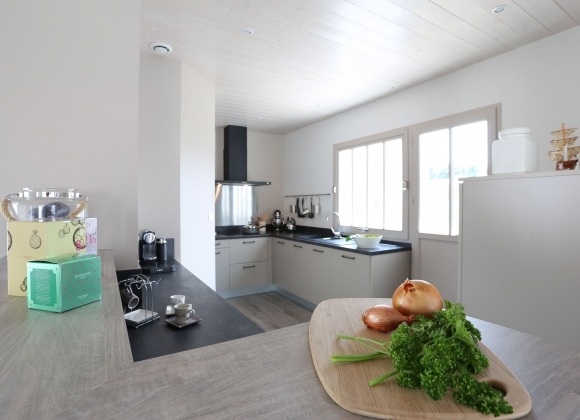 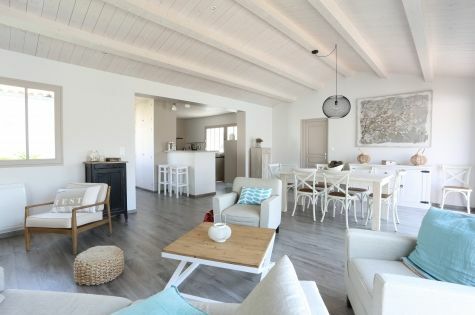 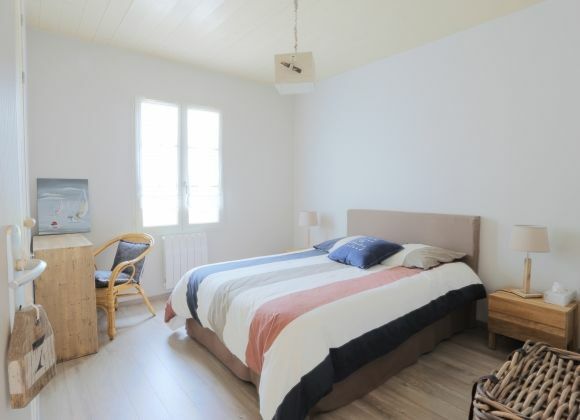 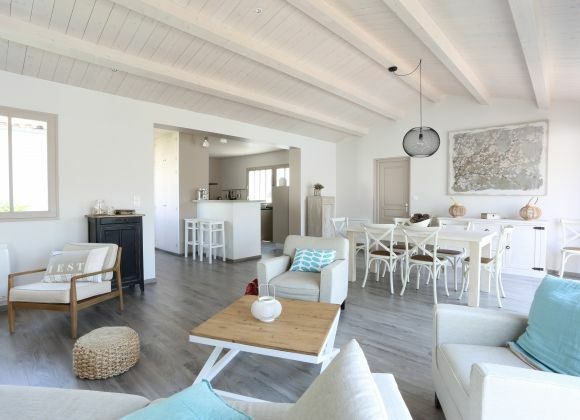 For holidays in the fresh air, leave your car in the private parking space and take your bikes out on the cycle path to explore the Ile de Re or fetch fresh croissants from the port, exactly 900 metres away.